the first site where I found lots and lots and LOTS of hi resolutions photos and rare ones too most of the time. A true fan site of great quality. Just go have a look, you won't be desappointed. Might require you to register if you want to upload or download pictures. But it's worth it. 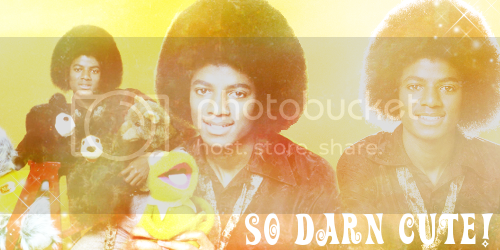 ^^Steady Laughing and MJJPictures are both down. From what I hear they are having financial troubles but they will be back up. MJJPictures is still on hiatus, though before it went into hiatus, It hadn't update in a while. Edited by RockinRobin, 17 October 2010 - 02:46 PM. The last time MJJ-Pictures had an update was in Decemeber 2009 that might explain why they are on hiatus now. The site went on hiatus this July.. Thank you a thousand times, I'm enjoying that site too, however even though I'm new here, I know my way around here and this site is very user friendly.